Rim began his career at the Ministry of Foreign Trade (External Economic Affairs) during the mid-1970s. From 1984 to 1988 he served as a trade counsel at the DPRK Embassy in Indonesia. Rim returned to the DPRK and in 1989 served as the interim head of the Asia-Pacific Bureau in the Ministry of Foreign Trade. During the 1990s he served as trade counsel at the DPRK Embassy in Malaysia. From 1999 to 2001 Rim Kyong Man worked as head of the International Organizations bureau in the Ministry of Foreign Trade. 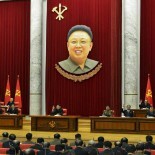 In 2001 he was appointed as the DPRK trade representative in Dalian, PRC, a position he held for under three years. Rim was appointed Minister of Foreign Trade in April 2004.
with the former Speaker of the Chamber of Deputies, the head of the Czech Republic’s lower house of Parliament. 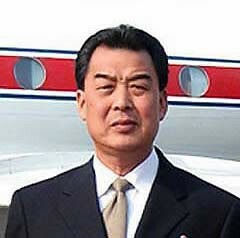 Rim Kyong Man attended Kim Jong Il’s meeting with former Chinese President Hu Jintao at the Paekhwawon State Guest House in Pyongyang on the afternoon of October 28, 2005, during the latter’s official state visit to the DPRK. Following the meeting, on behalf of the DPRK Government and with KJI and President Hu in attendance, Rim signed an agreement on economic and technical cooperation between the two countries. Three days later Rim departed the DPRK leading a delegation on a a visit to Cuba, Venezuela and Brazil. On November 4, Rim represented the DPRK and signed the protocols on the 24th session of the DPRK-Cuba Intergovernmental Committee for Economic, Scientific and Technical Consultation. On December 5, 2005, Rim met with then-St. Petersburg governor (and current Federation Council Chairwoman) Valentina Matviyenko and was the ranking DPRK official to attend a photo exhibition on the Russian city held at the People’s Palace of Culture. Malaysia concerning the DPRK importation of palm oil. During October 2006, Rim attended the 25th session of the DPRK-Cuba Intergovernmental Committee for Economic, Scientific and Technical Consultation held in Pyongyang. Rim met with Iran’s then-deputy foreign Minister Mehdi Safari during Safari’s visit to the DPRK in January 2007 “on ways of expanding bilteral economic relations.” In March 2007, RIm led a DPRK delegation to Russia and represented the country at a meeting of the Russia-DPRK Intergovernment Commission. Rim met with Konstantin Pulikovsky and discussed, among other issues, energy exports, timber, mining and agriculture. should be expanded. Rim met with Syria’s former Prime Minister Mohammed Otri and on August 14, 2007 attended the 5th session of the DPRK-Syria Joint Economic Committee. During October 28 to November 6, 2007 Rim was part of a delegation led by former DPRK Premier Kim Yong Il that visited Vietnam, Malaysia, Cambodia and Laos. On November 5, Rim met with his Lao counterpart on the sidelines of the delegation’s visit to Laos. Rim led a DPRK delegation to Cuba to participate in the 26th session of the DPRK-Cuba Intergovernmental Committee for Economic, Scientific and Technical Consultation. During his visit to Cuba, Rim agreed to continue the DPRK’s export of railway component parts, clothing and chemicals. Rim also visited a medical school, a cooperative sugar farm, a training institution for oil workers and historical sites. administrative region, where he remarked that “foreign trade is an important work that should be endlessly expanded and developed by a state of working class people as it an economic lever to harden the foundation of the national economy…as well as the first process in developing friendly and cooperative relations with countries.” KJI also said that “in order to develop foreign trade it is necessary to correctly work out an export plan and thoroughly implement the policy of unified trade and, at the same time, the party organizations and administrative officials should regularly learn about and grasp how the plans for the production of export goods are fulfilled, unravel knotty problems in time and effectively conduct the organizational and political work to advance export plans.” A month later KJI replaced the Raso’n chief party secretary Kim Hyon Ju with Rim Kyong Man. holding an annual international trade fair. Rim was elected a deputy to the Supreme People’s Assembly in March 2014. He was elected to the WPK Central Committee in May 2016.